Growing up in the Gatineau Hills of Quebec, I always had an interest in working with wood. 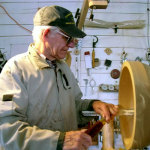 In 1953, I moved to Regina and after twenty years of earning a living as a salesman, I returned to school, improved my skills as a cabinetmaker and home finisher, and went into business. 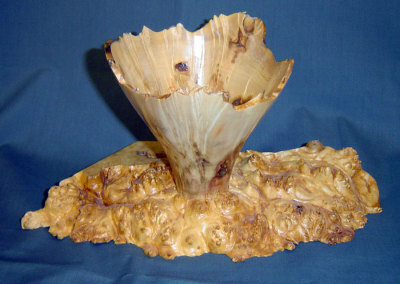 When I moved to White Fox in 1981, woodturning became a passion and I refined my skills in this art form. In 1985, mu business From the Forest to You crafts by Jean-Marie was established. Birch and maple burls found in the forests near my home have become my main working media.